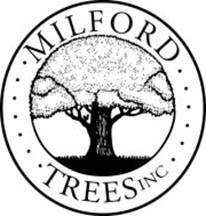 Milford Trees Incorporated, a 501c(3) Nonprofit, was founded in 2000. The nonprofit organization wrote the Ordinance that created the Tree Commission also in 2000. Through grants and donations, volunteers manage Shadyside Nursery on Gulf pond where trees are grown until the time when they can be planted in suitable public open spaces areas and along our city streets. In a 2 1/2 year period, 65 volunteers inventoried approximately 17,000 public street trees. We seek partnerships at community, state and federal levels. Our award winning tree walks educate students and adults alike. MTI, The Tree Commission, the Tree Warden and Public Works coordinate tree planting in the Legacy Arboretum, Parks, schoolyards and along our public streets in appropriate spaces.